It is quite likely that you haven’t heard about the Zika virus. In fact, a majority of the global population was unaware of this disease, which is now apparently spreading around the globe. The virus had been first identified nearly 70 years ago in Africa, but there hasn’t been a major outbreak since. Over the past few months, the virus has reared its head in Brazil, where doctors reported that a number of babies have been born with serious birth defects. Further investigation revealed that the defect was a brain deformity known as microcephaly, which meant the babies’ skulls and brains weren’t developed properly. The disease is usually caused as a result of mosquito bites. The mosquitoes which carry this virus are the same as the ones which spread the dengue virus a few years back. It is important to take precautions and keep mosquitoes away from your home and avoid staying outdoors in areas where there are mosquitoes. The virus doesn’t always result in clear symptoms. In fact, only 20% of the people affected by it show symptoms, which include fever, conjunctivitis, rashes, and pain in the joints. In some cases, this may be accompanied by nausea, vomiting, and headache. 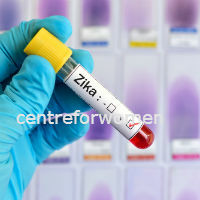 Brazil is the only country so far which has seen a major outbreak. Experts believe that it is highly unlikely that this virus will afflict any other region in the same way. There are no specific tests for the Zika virus as yet. Therefore, diagnosis is difficult, but this doesn’t mean testing isn’t important. There are no specific treatments for the virus. Using painkillers and other medication can help you control the symptoms to a large extent. A team from the UK has however claimed that they have come up with a treatment for this disease. All in all, the Zika virus is fairly obscure and until just now, little is known about it. Hence, it is a good idea to try and keep yourself safe. Check the CDC website for instructions and suggestions. Also, avoid travelling to countries where the virus has spread, especially Brazil.